Kenya arrived at the GSPCA on the 10th July 2013 and up until yesterday was our longest stay cat in need of a home. Mitzi a black female cat was our last ever longest stay cat in recent years and had been at the GSPCA for nearly 2 years. She was rehomed this month and we have had some wonderful updates that she is doing very well. Kenya originally was a very nervous cat when he first arrived at the GSPCA and did not always show himself well to people he didn't know. At the GSPCA we see animals of all shapes, ages and sizes in need of good homes coming through our doors. Last October a female tabby cat called Amber arrived at 12 years of age. She couldn't go straight up for adoption as she needed her bloods taken and ensure she was healthy. After the results came back thankfully she was fine although her kidney levels would need monitoring as she gets older. We have a waiting list for new owners looking for kittens, but often struggle finding the older cats a new home. Today the GSPCA have been at the OSA recruitment Pop Up Shop with a selection of other charities to speak to the community about volunteering. With the sun shining, the GSPCA would like to thank OSA Recruitment, Volunteer.gg, Association of Guernsey Charities and the Community Foundation for the chance to join some great causes in St Peter Port to spread the word of helping animals in Guernsey through Volunteers Week. 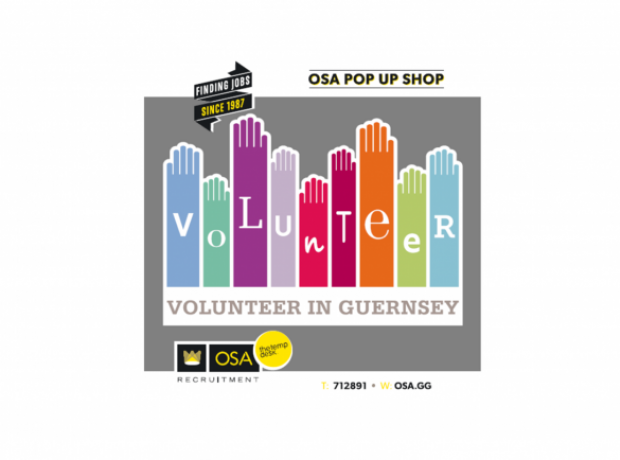 Today the OSA Pop Up Shop in Smith Street, St Peter Port will be manned by a variety of charities and one of the themes is animals as part of volunteers week. We will have information on hand and hopefully representatives between 10am and 2pm and also 5pm and 7pm. If you are interested in helping animals in Guernsey then there are many roles and ways you can get involved with the GSPCA, so please pop down or you can call the Shelter on 01481 257261 for details. 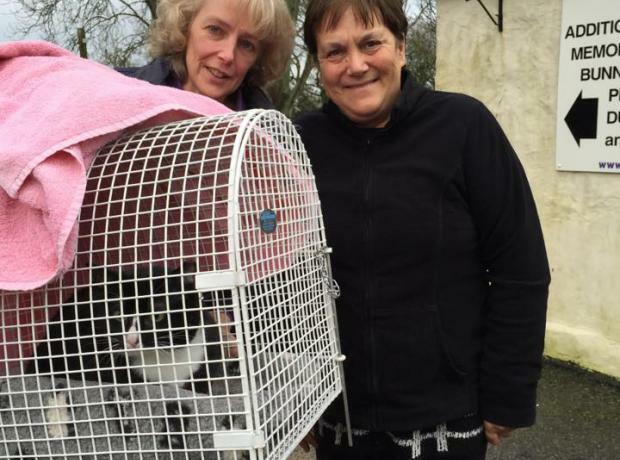 Around the clock volunteers in Guernsey are helping animals whether at the GSPCA or other animal charities. Every single night of the year a volunteer helps ensure that at the GSPCA we can provide around the clock emergency cover. The volunteers that make up this fantastic group come from all walks of the community and help ensure every night between 6pm until 8am the next someone can go out to rescue an animal in need. Matt Hill-Smith and Jen Bradshaw are two of our volunteer wardens and help cover on average two nights a week. Only 2 days to get your entries in for the GSPCA Hedgehog Competition. The GSPCA couldn’t carry out saving, rescuing and caring for the thousands of animals that come through the doors every year without the support of the staff and volunteers that work tirelessly every day and night. To recognise the team at the GSPCA we have been asking for nominations to recognise the staff and volunteers for their dedication, hard work and outstanding effort. Nominations were accepted both in house, online and via the post and we received an overwhelming number of wonderful comments for five staff in particular and fifteen volunteers each quarter. On what was a very sunny Sunday morning the GSPCA held another sold out Dog First Aid Course at the Animal Shelter. The GSPCA have been running a series of training courses at the GSPCA site in St Andrews. With 18 in attendance and taken by GSPCA Manager Steve Byrne the training session which takes just over 2 hours covered topics from dog CPR to seizures. Many of those attending had a wealth of knowledge on dogs as nearly a dozen trainers from the Island Dog Training Club came along to learn and also share their experiences.